The Vallons de la Meije and Vallons de Chancel might not be everybody’s idea of easy skiing, but ease is relative. In La Grave these long off-piste runs provide the standard routes down for those who want to avoid extreme terrain, couloirs, crevasse zones or ropework. Like the Valley Blanche in Chamonix, they are skiable by any reasonably competent off-piste skier with a bit of stamina, providing you don’t get off route. At their steepest they are comparable to an in-bounds black run, but add in variable snow, 1800m of vertical drop and the near-inevitable icy bumps in the trees to finish and it all becomes that bit more challenging. There are often tracks leading off into much more difficult routes so knowing where you are going, or skiing with someone who does, is essential. 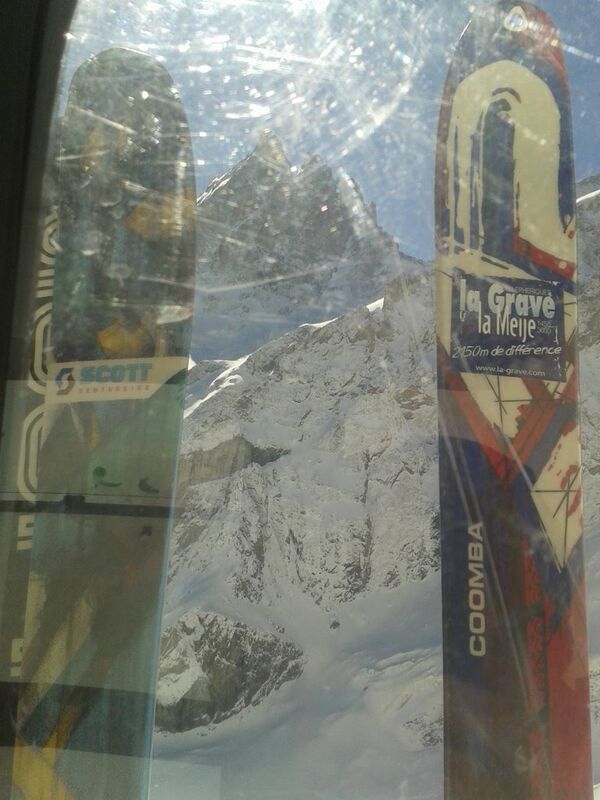 One golden rule in La Grave, posted in the lift stations, is to never follow tracks unless you know where they go. 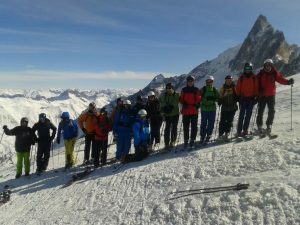 I am probably asked to ski these routes with customers more than any other off-piste in the area, so this post will tell you what to expect when you ski them. You can access the classic La Grave routes either via the La Grave Telepherique, or from Les Deux Alpes when the link is open. Both routes start from the Gare de Ruillans station at 3200m. 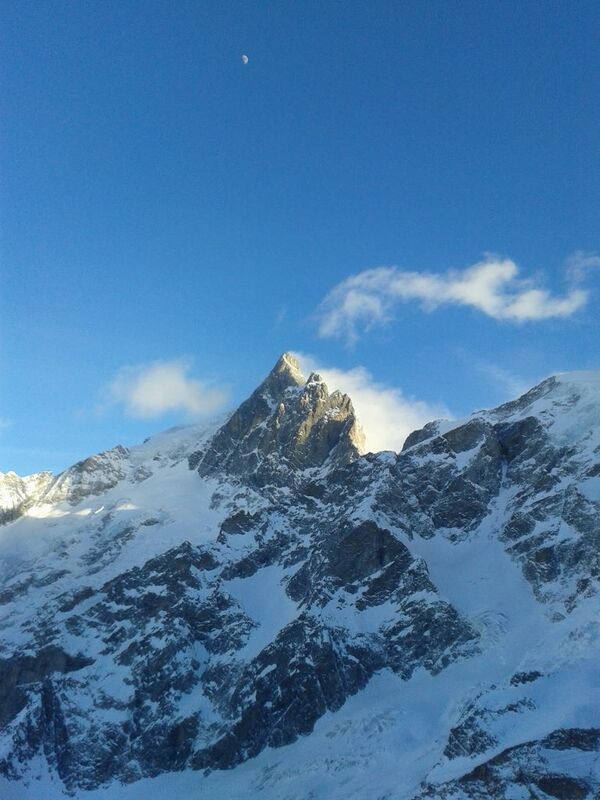 Above this altitude you need to stay on the piste or be equipped for glacier travel. This is the more iconic of the two routes, with stunning views of La Meije from top to bottom. The mountain seems to watch over you as you ski, and the hanging glaciers above mean you need to pay attention to serac fall risk. The route starts with a traverse rightwards to a wide snow field and some easy turns to warm up. Below this you need to head left into a big gully. Do not follow any tracks leading rightwards unless you are ready for the Triffides Couloirs (a much more serious proposition). You can stay in the big gully to its end, or traverse left to open slopes when possible. Either way takes you to a large flat area. My preferred option here is to stay left of the big morrain ridge and follow a flat valley past the foot of the Bear Couloir and into the edge of the forest. This keeps you well away from the serac fall danger zones on the right. To finish, you can traverse left through the trees to catch the lift at P1 (Pylon 1), or keep far right to ski all the way down to the village. Don’t go too low before making a decision – if you miss the traverse line you can get funnelled into a gorge with no way out. This side of La Grave lacks the spectacular view of La Meije, but it does offer some great skiing and is often quieter. It also has a refuge half-way down if you want to break up the descent with a lunch stop or a coffee. To stay on the route, you need to follow the ridge down from the lift station before trending left to pick your way through several rocky sections. It is important to keep left to end up near the refuge. 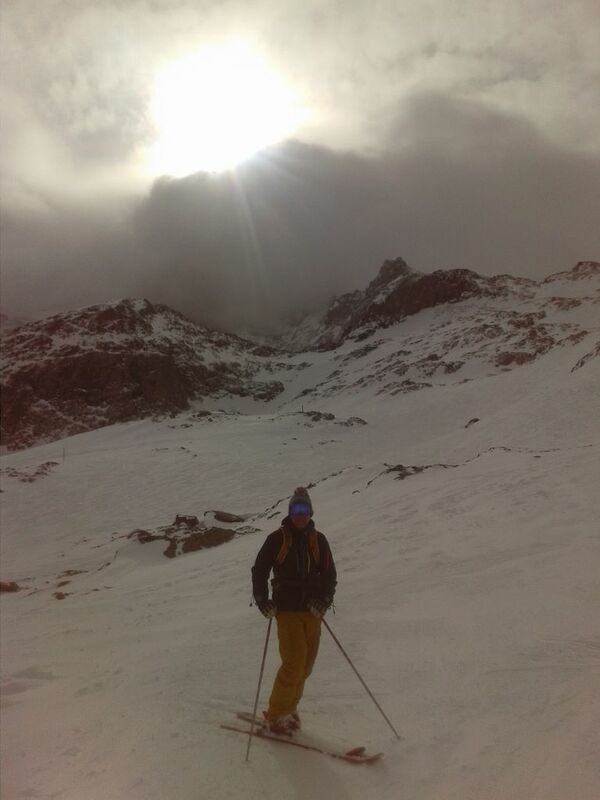 Many tracks heading rightwards will be going to the Lake Couloirs. Once you know the way, you will find there are many variations in this section. After the refuge, you need to head rightwards below the lake, and then pick up the traverse line back to P1 as you hit the trees. At P1 you can catch the lift or follow the path to the right to ski down to the village. Both these runs are long and varied. You can take in open powder fields, narrow gullies, bumps, spring snow and trees, all in the same run over close to two vertical kilometres. There are lots of reasons why La Grave should be on every skier’s wish list, and for ordinary off-piste skiers, these are the first two routes you should do. The European Ski School runs weekly full and half-day trips to La Grave, which typically take in these itineraries, and we will also aim to ski them during the March Off-Piste course. Get in touch if you want more information about either.